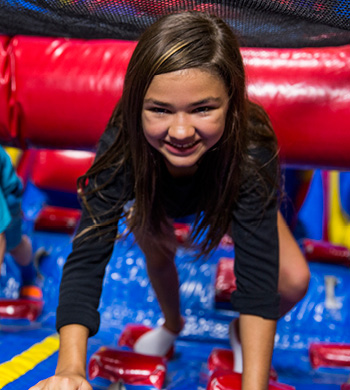 Our Open Jump Time is available for your children to have the time of their life. Our massive inflatables spark their imaginations to run wild. It’s not only fun for the kids, but provides a healthy workout that burns off excess energy and helps keep them fit. It’s fun for kids of all ages. During open jump you will rotate between our two arena's. Open jump rotates between our two arena's. We cannot guarantee time in either arena! Children Under 34" and walking will be $1/2 off. Children that are not walking are free. See our calendar for our schedule. Socks required. We turn down the lights & turn up the FUN! 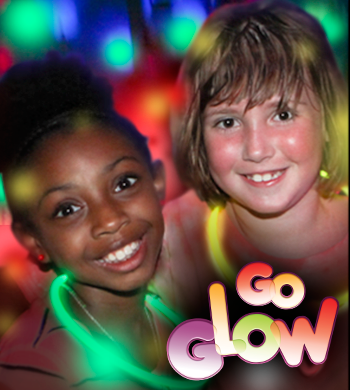 A glow jump offers an exciting experience for children who have participated in our events many times. We turn all of our special FX, LED, & Glow lights to illuminate your child's imagination.! Entry Includes: Jumping and a glow necklace. Please arrive 10 minutes prior to check in. All sessions cap at 35 Kids. Glow jump rotates between our two arena's. We cannot guarantee time in either arena! See online calendar for session times. Socks & Online Waiver required. 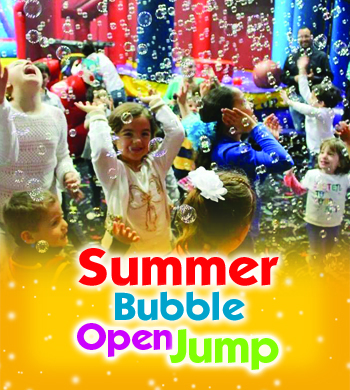 Visit our calendar for a Bounce N' Bubble Session. Your children will get to have open play in the arena's with an added bonus of bubbles! We will turn on our bubble machines in each room and play exciting games with the kids. bubble jump rotates between our two arena's. We cannot guarantee time in either arena!